Advance Directives are legal documents that provide instructions about your health care wishes in case you are unable to speak for yourself due to a medical condition. In Ohio, do not resuscitate orders, living wills, organ donation and durable powers of attorney are advance directives that are authorized by state law. Advance care planning refers to when people proactively think about what their health care wishes would be if they were unable to speak for themselves at any time in the future, and communicate those wishes to others. Advanced care planning is important for people of all ages because anything can happen to anyone at any time and having a plan in place can help ensure that your health care wishes can be known and honored in any situation. 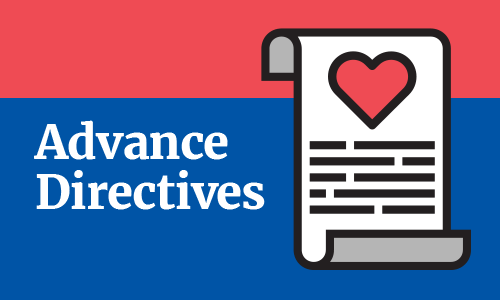 Advance Directives are a powerful tool to help inform your medical team about your health care wishes. Did you know that no more than one third of all American adults have an advance care plan in writing? This is particularly concerning because studies suggest that roughly 70 percent of Americans will be unable to make decisions for themselves at some point in their lives. This is why advance care planning is so important. And, it is not just important for the elderly or those with severe illness. Health crises can happen to anyone at any time.